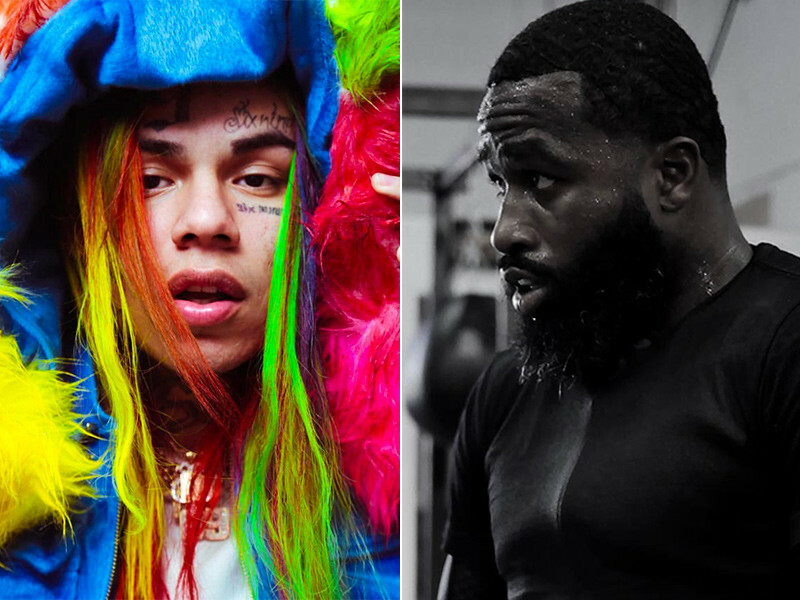 Tekashi 6ix9ine appears to have another beef in the making, this time with former four-weight boxing world champion Adrien Broner. #tekashi69 leaves comment under #adrienbroner picture calling him a clown ? While it’s possible 6ix9ine was referring solely to Charlamagne — who he previously had some friction with during a recent interview on The Breakfast Club — Broner didn’t take too kindly to the rainbow-haired rapper’s comment. The brash Cincinnati native quickly hit back via a video uploaded to his Instagram. It wasn’t long before 6ix9ine responded. The self-proclaimed “King of New York” says he has a whole bunch of money on Broner losing his fight to Jessie Vargas at the Barclays Center this Saturday (April 21). The controversial Brooklyn artist also told Broner he needs to “check-in” before coming to his home borough. #tekashi69 applying pressure to #adrienbroner . Tells him to check in before he comes to Brooklyn n bets $300k he gets knocked out. If Adrien Broner doesn’t check in with Big 69 … y’all think his boxing match will still go on at the Barclays ?? ?? By the end of the clip, he had suggested he’d put $300,000 on Broner losing.